You can purchase recordings from this powerful event below! 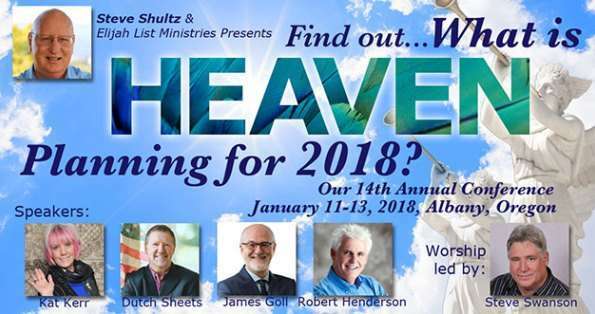 We are pleased to announce that registration is now open for the web stream of our 13th annual Elijah List Ministries conference “What Is Heaven Planning for 2018?” As it has been for years now, this is such an incredibly important and intense time in history, so you need to tune in to this important event. 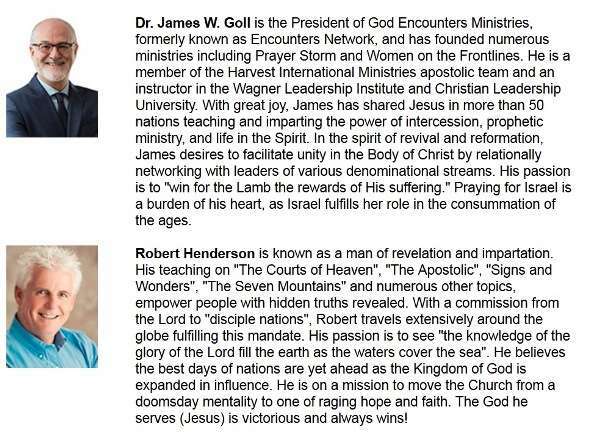 This year’s guest speakers are Kat Kerr, Dutch Sheets, James Goll, and Robert Henderson… with worship by Steve Swanson and the Jesus Pursuit Church Worship team! 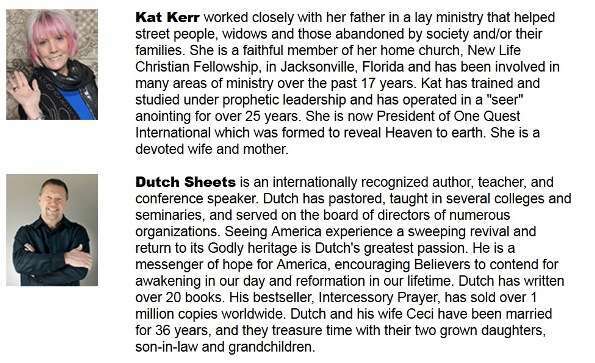 These featured speakers will provide the very meaning of what is Heaven REALLY PLANNING for the upcoming year of 2018. This conference is virtually sold out in Albany Oregon. Based on the things you are seeing in the news, in politics and in Biblical prophecy many of you are probably wanting feedback on some of the prophecies that were given during this calendar year. The accuracy level of these prophetic voices have always been very high concerning what God is about to do, and it gets more accurate each year. 2018 is obviously going to be a VERY PIVOTAL YEAR, SO DON’T miss this one! Kingdom Flame Monthly Partners- this event was complimentary for Kingdom Flame Monthly Partners donating $10 a month or more. If you are a Monthly Partner just log into the member area to view extended conference replays or to purchase discounted recordings. To learn how to become a partner and receive complimentary access to most of our conference Web Streams with extended Replay privileges, Half-Price online schools and 40% off of media orders, CLICK HERE . This Boxed DVD set includes all sessions recorded at the conference in DVD Video Format. This is a boxed DVD Data Disk with all sessions in .mp4 video format. You can store and play these videos on your PC or Apple computer, Iphone, Ipod or Ipad and many Android Phones and tablets. NOTE- This disc will play on all computers and DVD or Blue Ray players that support the MP4 Multimedia Video format. This is a Boxed CD Data Disk set with all sessions in .mp3 audio format. You can store and play these videos on your PC or Apple computer, MP3 Capable CD players or load them onto your Iphone, Ipod, Ipad and Android Phones and tablets. NOTE- This disc will play in all computers that have a disk Drive, and CD players that support the MP3 multimedia format, including many newer cars.